April 23rd, 1956 – Elvis Presley performs in Las Vegas for the First time at the New Frontier hotel. He received a luck-warm response from Vegas older audiences who aren’t quite ready for the hip swiveling in his two-week engagement. 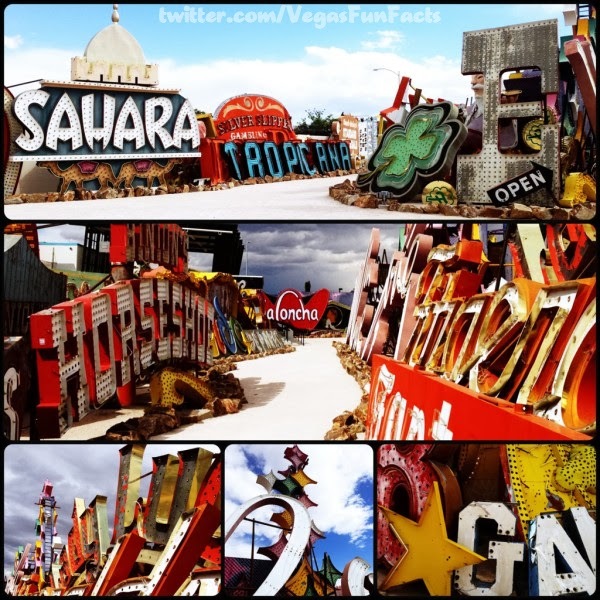 This week’s winner didn’t make it easy, specifically because @vegasfunfacts he submitted two great pictures of the Neon Boneyard. The one we did chose, as that winner is our first collage to win “Twitpic for the week”. 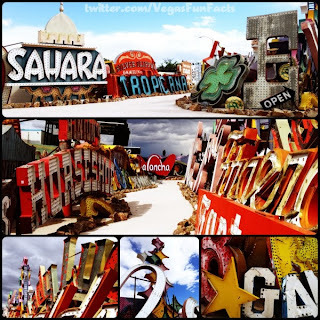 Its 5 pics in one showcase some of the best parts of the Neon Boneyard. You can see Vegas history in the signage of Sahara, Binion’s Horseshoe, Trops old signage, Lady Luck, Stardust with a dash of Moulin Rouge, Fitzgerald’s and more. The colors are great, the sky’s runs from beautifully bIue to dark and ominous depending on the picture. I can’t reiterate enough that I highly recommend the Neon Boneyard to anyone who listens to this show. You will not be disappointed. However, again I’ll give the warning, at least from our experience, don’t regard too much of what your guide tells you as actual Vegas history.